The Action Group was formed in May 2009 to coordinate the implementation of the Community Plan for the communities of Hovingham and Scackleton, The Action Group empowers residents, of all ages and backgrounds, to support themselves and our Community. Today over 100 volunteers help achieve this and actively promote Community spirit and involvement. •Our Market and Community Café brings together 40 local traders and attracts up to 1000 visitors, establishing a unique monthly community event already raising over £50,000 for community groups. •The Environmental & Wildlife Groups have built over 40 nest boxes, planted wildflowers, encouraged households in bee friendly plantings and building bee homes. Volunteers clear snow in the winter to keep the community going and active. They also repaint railings, clean signs, tidy pavements, build litter bins, and much more; enabling residents to improve and take a pride in their environment. 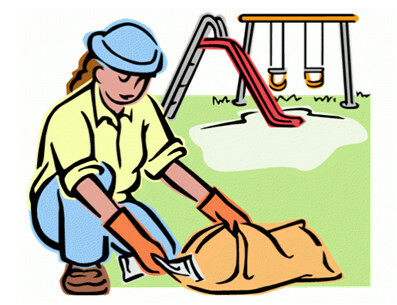 •The Playground Group looks after a well kept adventure playground with equipment for toddlers to teens. It also includes picnic tables, benches and a covered shelter, so all the family can enjoy themselves. For further details scroll down and see the Playground information.